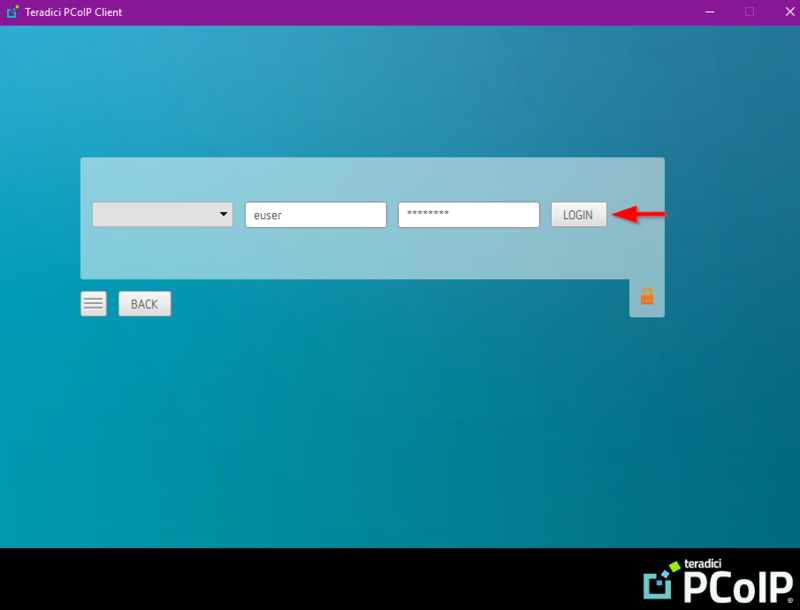 After the users VM is created (link to creation guide), admin will receive the credentials to connect to the new VM. 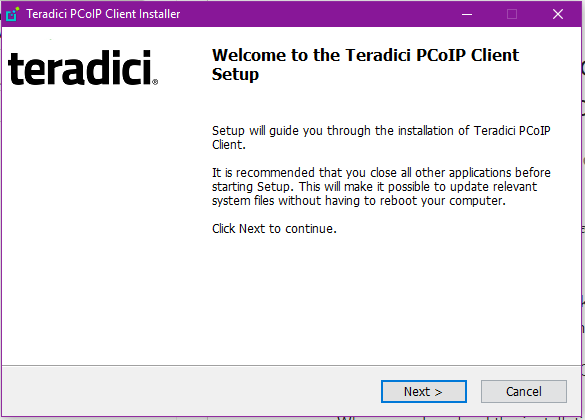 The connection works through Teradici PCoIP Client that can be downloaded here. 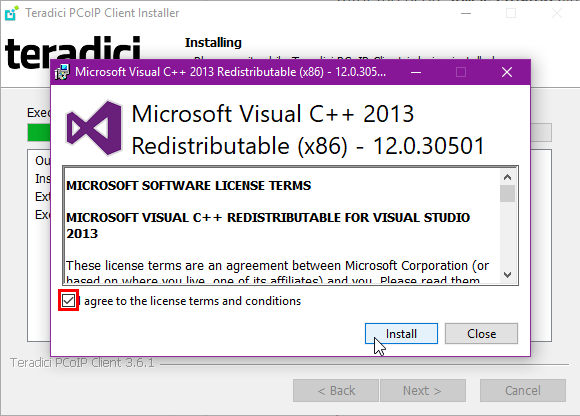 When you download the installation file, run it on your device that you'll be using to connect. Once the setup is successful, run the client. 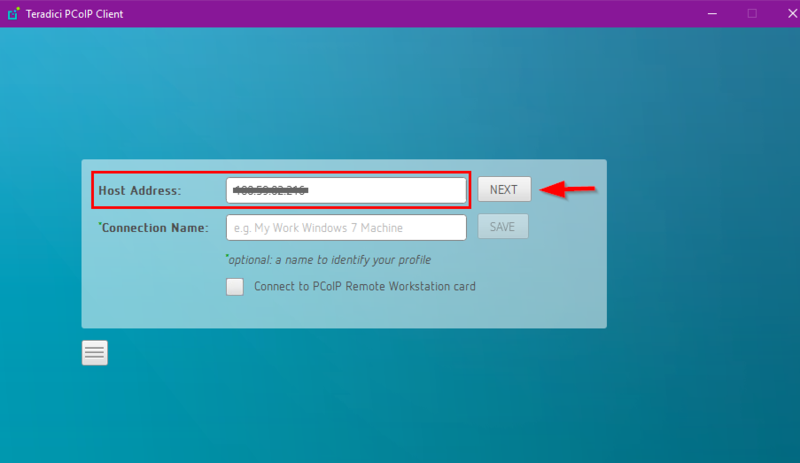 The PCoIP client will connect you to the virtual machine.